Michigan Area Agencies on Aging: Provides information regarding available community resources for older adults (60+) and low income adults with disabilities (such as Medicaid Waiver Program). Available to provide information regarding Medicaid and Medicare health care benefits through the Medicare/Medicaid Assistance Program (MMAP). For further information contact your local AAA by phone and ask to speak with a resource specialist or visit their website. Your local MDHHS office can be located by clicking on Inside DHS, then clicking County Offices. 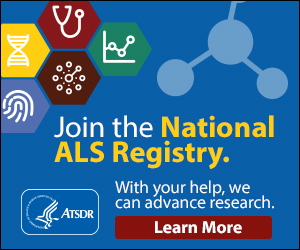 It depends on your specific situation, but in general, military veterans diagnosed with ALS who have served at least 90 continuous days of active duty will be considered service connected for ALS. This is the case regardless of when or where a veteran served in the military and regardless of the length of time between discharge from the military and a diagnosis of ALS. We recommend that if you are a veteran with ALS that you apply for veterans benefits.